Recently, the Canadian Government introduced new regulations that will require lenders to make sure that prospective homebuyers can handle an increase in interest rates. In short, high ratio borrowers (those with less than 20 per cent down) need to be able to qualify for a mortgage at a higher rate, which in some cities where prices are very high (e.g. Toronto and Vancouver) can mean a substantial increase in a monthly payment. This new criteria is leaving some hopeful house hunters disappointed. “When you have your heart set on buying a house and you don’t qualify for a mortgage through your bank, it can be extremely disheartening. House hunters in cities where prices continue to climb are already feeling a lot of emotions, and are moving quickly because of the fear of missing out,” says Jeff Schwartz, executive director, Consolidated Credit Counseling Services of Canada. “This fear of missing out is causing some borrowers to consider alternatives that may not make the most sense financially, just so they can secure a home at any cost. These extra costs have implications for their financial health today and tomorrow as well,” says Schwartz. Even if you’ve failed the “mortgage stress test,” your road to homeownership doesn’t have to stop. You do however, need to follow the correct path and make sound financial choices in order to achieve that goal. Here are some tips for your next move. You may have heard of alternative lenders (e.g. non-bank) who use different criteria to qualify borrowers for their mortgages. And while it is true it might be easier to qualify for these mortgage loans, they come at a price. For starters, you may not have many of the same features and flexibility that you do with bank-backed mortgages. Most importantly you may end up paying a lot more interest. Rates vary depending on where you live, but count on double to triple the regular bank rate. Would it make sense to pay that much more, just to get into the housing market today? Before you resume your house hunt, modify your search criteria. Maybe you can downgrade your budget, choose a smaller housing type or pick a less expensive neighbourhood? Take some time to accumulate more savings to use as a down payment, while paying down existing debt more rapidly. That will let you r borrow a reasonable amount for your mortgage, without placing yourself in debt danger. Even though these rules may have prevented you in the immediate moment from reaching your goal, they may have actually helped to set you up for financial success down the road. What the mortgage stress test does is let homebuyers see what their budget would look like if they were obligated to pay a higher mortgage payment because of higher interest rates. And higher interest rates are a very real possibility in the future. 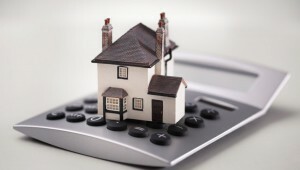 Is your debt load making it hard for you to qualify for a mortgage? In time, you can reduce that debt and realize your financial dreams. Start today by calling our trained credit counsellors at 1-888-294-3130 or visiting our free online debt analysis .